Lund is one of those Swedish cities that can make you feel like you’re in a real-life fairytale. It’s small and super easy to explore, with nice parks, an impossibly cute city centre and a beautiful old university campus. Visit this surprisingly cosmopolitan city in the south of the country and you can expect to find lively open squares, student cafés, and some regal old Danish buildings. Everything is connected by winding cobblestoned streets, some of which are lined with pastel-coloured houses, each with flowerpots decorating its window sills. It sure is pretty. 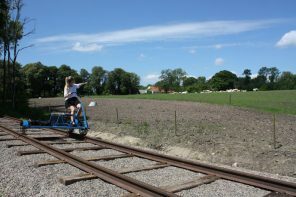 Lund has been an important religious and academic hub for centuries, so as you might expect the whole place is brimming with tradition and culture. Starting from the central train station, there’s a bunch of fun cultural attractions you can walk or cycle to. And, as there are plenty of penny-pinching students here, many of the attractions are cheap or totally free. These are some of our favourites. If you’re on a mission to see some contemporary art, this should be your first stop. 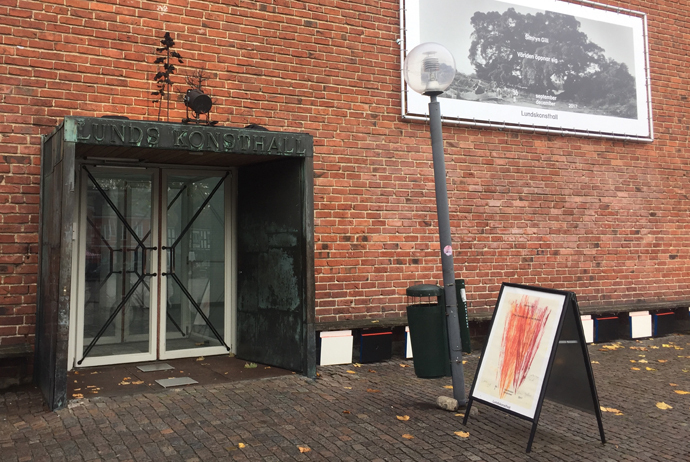 Lunds Konsthall (Lund Art Gallery) keeps it cutting edge with exhibitions featuring emerging and established artists from all over the world. As a general rule, this gallery only displays art that has been made recently, which means there’s usually something new and exciting on show. The surprisingly large, two-storey gallery has a beautifully minimal interior and is centered around a serene inner courtyard, making it an amazing spot to see what the lesser-known art world is up to. The gallery is located right in the middle of Mårtenstorget square, and always has exhibition information available in English and Swedish. For those who enjoy the white-box gallery aesthetic and interacting with art in cool new ways, this gallery will not disappoint. Oh yeah, and it’s free to get inside. 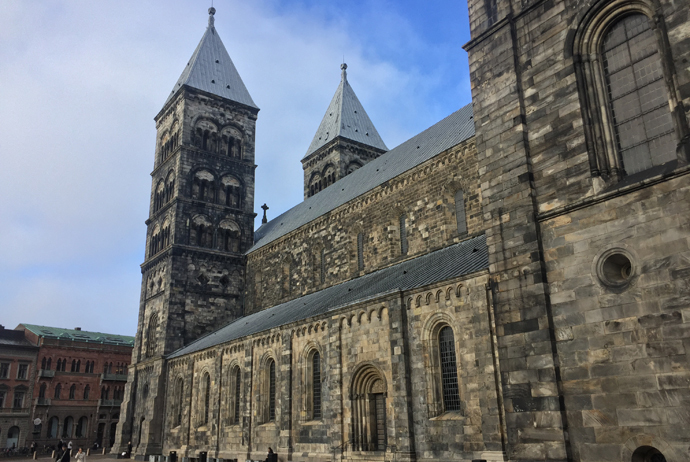 Even though it tends to be a bit touristy, you can’t exactly skip the city’s main attraction – Lund Cathedral, or Lunds Domkyrka. It’s impossible to miss as its two main towers completely dwarf the rest of the city centre’s buildings. 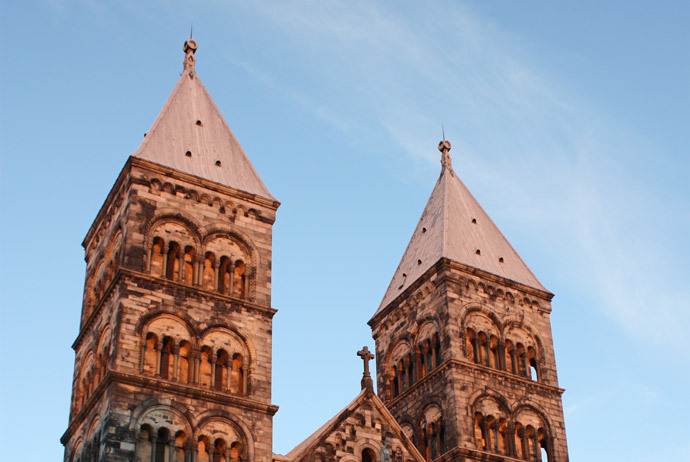 The cathedral is open to the public and attracts more than 700,000 visitors a year with its spectacular arched ceilings and painted pulpit (it’s a popular stop on a pilgrimage route through Sweden). Right behind the cathedral you’ll find the modern-looking Domkyrkoforum, a visitors’ center with a small exhibition and a café. On a sunny day, it can seem like half the city has gathered outside the cathedral to relax on the broad plaza’s wooden benches and soak up the vitamin D. The cathedral is free to visit. From the cathedral it’s only a few steps to Lundagård, a central slice of greenery shaded by lovely mature trees. Historiska Museet, the old-fashioned history museum here, is definitely worth a look. 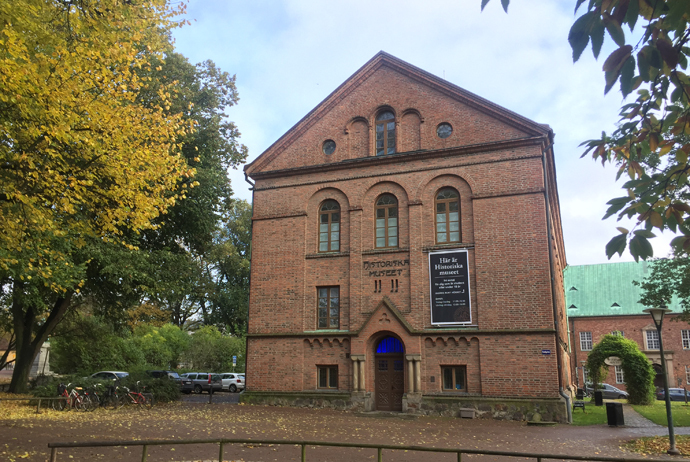 With nine main galleries covering everything from ancient coins and medieval church art to zoological curiosities, this museum has the second-largest collection of archeological artefacts in Sweden (which makes sense, when you think that Lund is also Sweden’s second-oldest city). 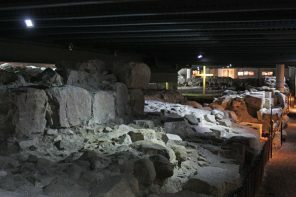 For history or archeology buffs, it’s a real treasure trove with Scandinavian finds excavated from the Iron, Stone and Bronze ages. The museum is free to visit if you can flash a student ID or are under 18 years old. 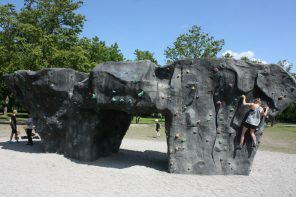 For adults, admission is around 50 SEK. Another interesting place worth visiting in Lund is Kungshuset, or the King’s House. While you can’t actually go inside, we think it’s still worth stopping by since it’s also in Lundagård, just a few minutes’ walk from the history museum. 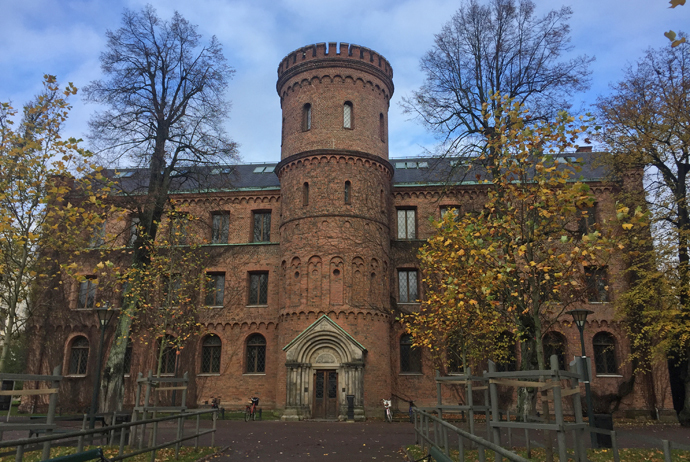 This imposing, castle-like building has a pretty strange history; it was built in the 1500s by the Danish King Frederik II to house the Bishop of Lund (hence its location near the Cathedral). Later, it was here that Lund’s university was based for about 200 years, which is crazy to think about since these days the university is enormous. 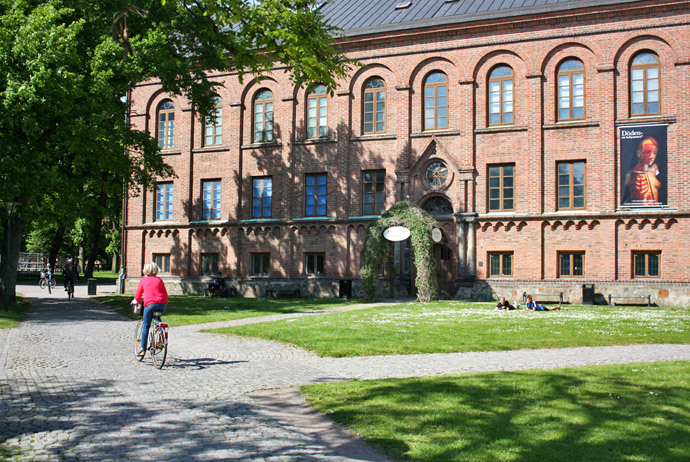 Now, it’s just an unused building (albeit a very handsome one) that shows Lund’s rich heritage as a place for learning and exploration. Head northeast from the historic centre and out towards the modern university campus and you might spot Skissernas Museum, or the Museum of Sketches. 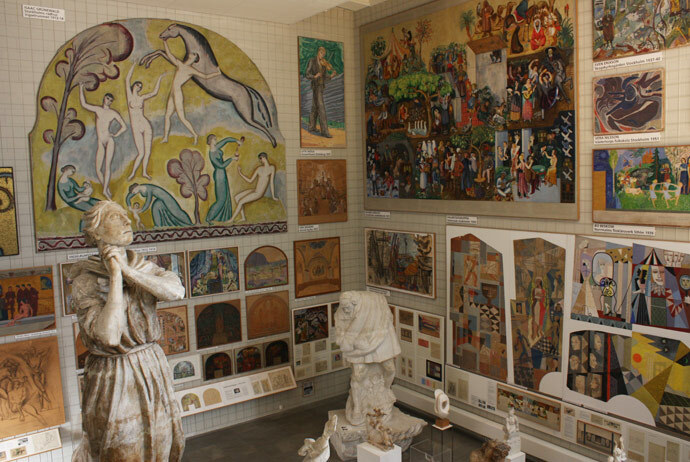 This place has the world’s largest collection of sketches, along with some beautiful sculptures made by famous artists from all around the world. For those with an interest in modern art, seeing the original, sometimes half-finished sketches that lead to proper masterpieces allows you to take a peek into the creative process of famous painters and sculptors. Even if you’re not an art history expert, it can be pretty cool to know that even famous artists sometimes made sloppy sketches during their careers! The gallery has a cute café and sculpture garden out in front – both nice places to pause for a quick fika. Entry is free for students and those under 25 years old. For adults it costs 80 SEK. If you’re looking to break away from all the museums, the last spot on this list might be perfect. 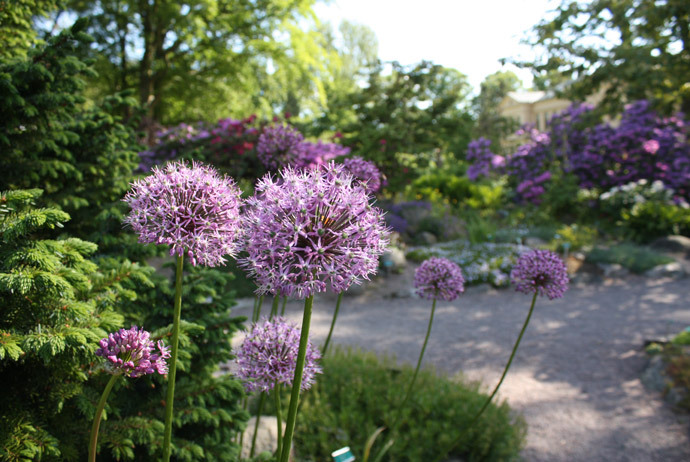 Less than 10 minutes’ walk from Skissernas, Lund University’s Botaniska Trädgården (Botanical Garden) is great for nature lovers. The gardens span more than 20 acres and are home to more than 7,000 plant species. With rows of beautiful flowers and trees to get lost in, this is a great place for a leisurely picnic. But the gardens also look amazing under a beautiful under a blanket of fresh snow in the winter. The greenhouses are open year-round and offer different glass rooms filled with greenery from all over the world, including the Mediterranean and the tropics. Especially in the winter, heading into these warm greenhouses can be a real treat. Best of all, it’s free to explore the gardens.